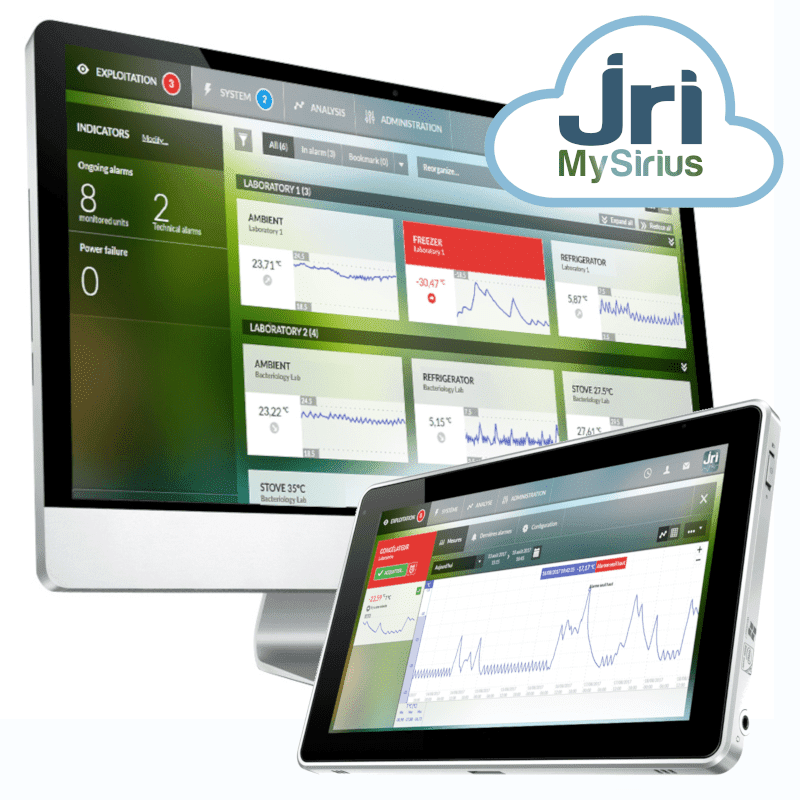 The JRI MySirius application allows fully customizable management thanks to a dashboard and modules adapted to needs and jobs of the users. 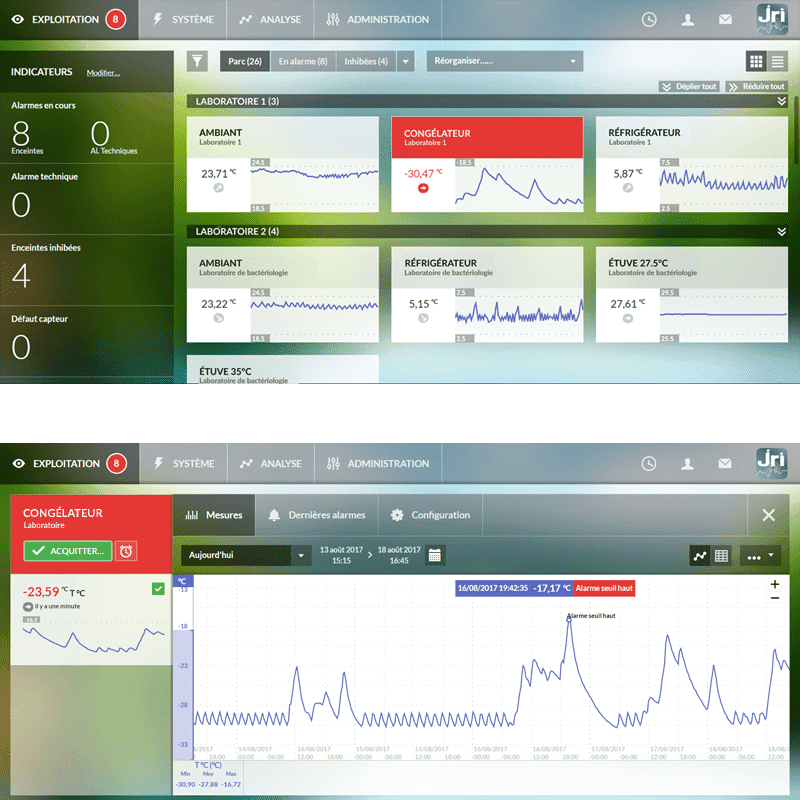 The data transmitted by the LoRa® SPY connected temperature sensors are easily overseen and managed on - full-web platform. The interface is user-friendly, intuitive and customizable with different indicators and favorites offering a data management adapted to the user's needs. JRI MySirius can be integrated with a third-party systems via API (Application Programming Interface). In case of threshold excursion, an real-time alert is sent. JRI MySirius offers a wide range of alarm option and management: multi cascades, snooze, temporary inhibition... and many means of notification: SMS text message, email, voice call, audio and visual alarms.